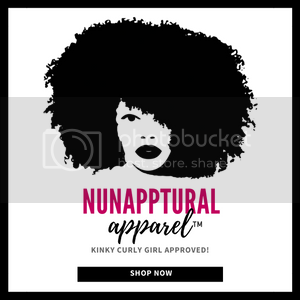 Corporate Kinks: A New Series Focusing on Acceptance of Natural Hair in the Workplace | ROCKIN' IT NAPPTURAL!! 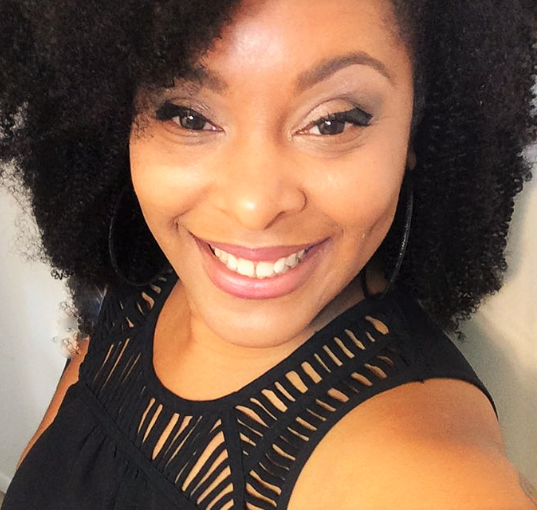 I received an email a while back where a young lady who was fresh out of college wanted to transition to natural hair, but did not feel it would be beneficial to her job search in looking to start her career. She wanted some advice in what she should do. I advised her that there were many, many styles she could try that would exude confidence and professionalism in the work environment and ultimately, it's all in how you rock it. 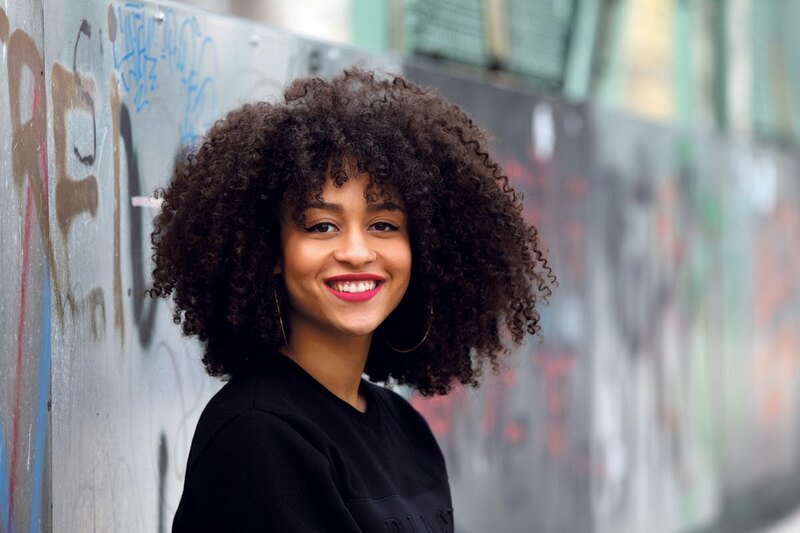 If you appear unsure about wearing your natural hair in the office, its likely that your employer may as well.When you wear your hair confidently and are unapologetic about your natural hair, those around you have no choice but to do the same. What I want to do is focus on hairstyles that are office-friendly and can be worn after work for happy hour, picking the kids up from school, or meeting your lover for a quick bite to eat, or a play. With that being said, I would like to introduce a new series entitled, Corporate Kinks to expel the myth that natural and even cultural hairstyles have no place in the workforce. Makes me think back to the episode of Living Single when Kyle was asked to cut his hair for a new job offer. Y'all remember that, don't you? Part of me cannot believe this debate is still going on but it is, and I feel the need to address it. 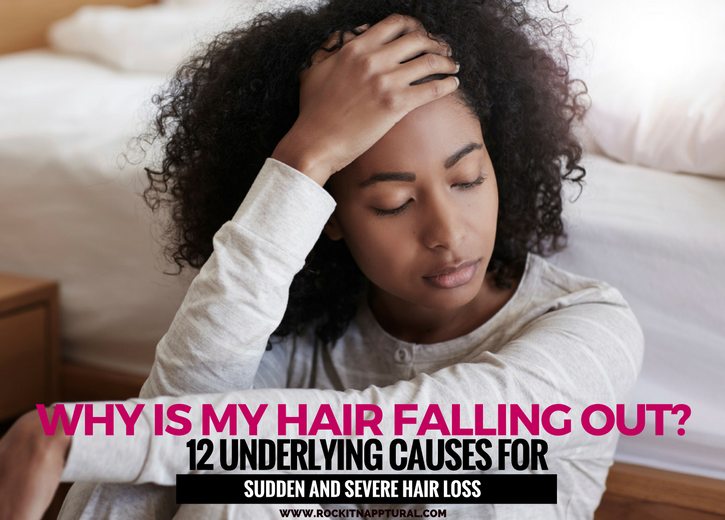 We'll start with an article written by Luke Visconti for Diversity Inc. What I love about this article is that it comes from a Caucasian man, and is advising a black woman who has inquired about relaxing her hair to get a promotion. I love what this guy has to say, in the nature of "keeping it real!" First off, I love your blog. I am a Black woman from continental Africa who chooses to have natural Black hair, not relaxed or chemically altered in any way. I wear my natural hair not as some political statement but because it is the hair that God gave me and intended me to have, just as it was intended for some Caucasians to have blue eyes or blond hair. I have heard about women and men of African descent being overlooked for promotions or outright being fired because they choose to wear their natural hair, braids, twists, mini Afros, locs and so forth. I understand that you do not represent all white people nor do you speak for the whole white race, but I wanted to know if whites in general feel disdain for natural Black hair in corporate America, or is it just an overblown issue? Also, I have heard that the more "African" you look--dark-skinned, coarse hair (think Wesley Snipes, Whoopi Goldberg)--the more ignored and overlooked you will be in the workplace ... and the more light-skinned or "whiter" you appear (think Halle Berry or Beyoncé) you appear, the easier it is to get promotions. Is this really all true? Are there "preferred" Blacks in corporate America? Isn't diversity supposed to be inclusive of everyone--natural hair, blue eyes, fine hair, etc.? Also, why does wearing natural hair, braids, locs, twists or any "Black" hair style that accommodates and is more healthy for our hair structure have to always be perceived as something negative, or worse, "political"? 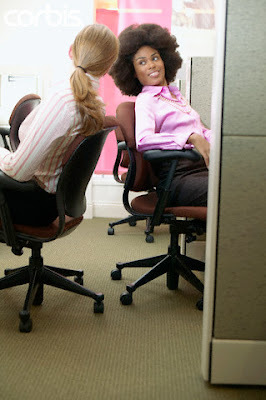 Why does the coarse hair on my head need to relaxed or chemically altered to be "presentable" in the workplace? Please be honest. There's no doubt in my mind that Black people have been overlooked for promotions because of natural hair or darker skin color. Psychological tests show that people most trust people who look like them. Since white men run most corporations in this country, straightened hair and/or lighter skin is going to be an advantage (disturbing, but let's keep it real). However, allowing a bias like this to go unchecked is detrimental to business, as hair texture has no connection to talent or ability. An inability to manage past immaterial things like this makes a company less competitive. This is where diversity management returns on investment. Companies that manage past bias and hire, mentor and promote equitably have better talent. They are also better prepared for the future as our country becomes more diverse. Our DiversityInc Top 50 data proves that representation is tied to recruitment and retention. This isn't a theory; it's a reality for companies that earn a spot on The DiversityInc Top 50 Companies for Diversity®. DiversityInc Top 50 companies have up to twice as much representation of Black, Latino and Asian people in management than the overall management work force in the United States. Equity equals quality. That means a corporate culture that is so out of touch with reality as to not have good diversity management in 2009 is not a good place for anyone to work--not just Black people. 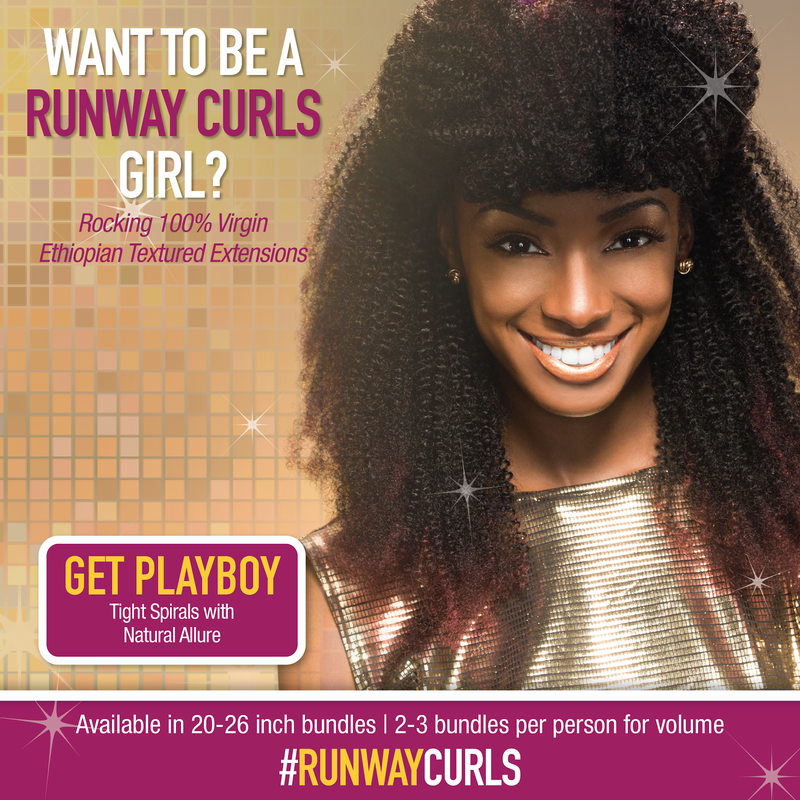 If you think your company "isn't ready for natural hair," then you should check out our career center right now. However, please consider this carefully: Sen. Obama won a decisive majority of white people's votes, so if you think your company really isn't "ready for that," it may be that your perception is out of date. I think America is ready for the Black women (and men, but this is mostly a woman's issue) in our lives to be more natural with their hair--and I'm looking forward to it.